Dance classes. Corporate choreography. Personal Dance classes. Stage Choreography. Group dance. 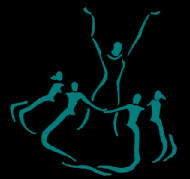 Dance workshops. Wedding Dance Choreography. School Annual Day Choreography. Dance with Pal is an innovative concept started by Pallavi Prakash where we bring fun and fitness based dance classes to a location convenient to you (currently in Bangalore). "Simple methodical teaching. Gets exciting when they include the fun part to it. Our instructor Pallavi was highly talented and all her co-workers were equally professional which helped us win the 2012 Inter-corporate competition. Thanku guys :) "
"Dance is my life and DWP is the right route to it :) I love being there, dancing with so much ease, enjoying every class and especially when it comes to shows, we have a blast ! DWP rocks :D"
"Great dancer and his team is fantastic. The performance is superb and he can make the audience dance to his tunes. I wish him and his team great future"
Dance With Pal conducts classes in Choreography. It is located in Bannerghatta Main Road, Bangalore. It takes Regular Classes- at the Institute. It has got 3 reviews till now with 100% positive feedback.